Costs vary according to market forces, please call us for the most current costs. According to the Appraisal Journal, the value of a house increases by $20 for every $1 of yearly energy savings. Also a new study by the NC Clean Energy Technology Center has found that the average value added to a house by installing a solar energy system is more than $4/Watt. For a typical house in Texas with a 10 kW system, the value added to a house is $30,000 to $40,000. When you install a solar energy system, you benefit the environment, and you also save money on your electric bill every month. The warranty period for our solar panels is 25 years and the solar panels will continue to operate beyond the warranty period. Electric rates have been rising at a rate of over 3% per year and will more than likely continue to increase in the future. 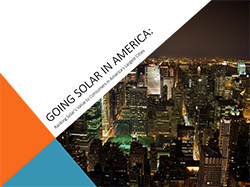 For a typical house in Texas, a rigorous financial analysis shows, that even without a financial incentive, an investment in solar will yield a rate of return of as much as 18% and have a payback period of 6 years. In other words, a solar energy system will pay for itself more than 4 times in its lifetime. The size of the solar array depends on the available sun in your area and the amount of energy that you need for your home or business. GreenLife Technologies can determine the amount of available sun at your site by evaluating the location, orientation, and shading of the Solar PV array. The size of the system also depends on your electricity needs. The electricity needs can be determined by evaluating past electricity bills. If you have a new house, GreenLife Technologies can determine your probable needs by analysis and experience from other projects. 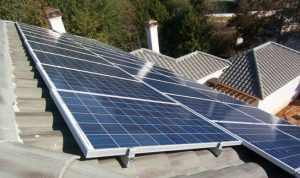 The cost of a solar energy system is typically around $3/Watt, but on larger systems of 10kW and more, the price is lower.